Al Hassan Engineering Co. SAOG (AHEC) is a leading EPC Contracting & Construction Company in Oman, offering civil & structural, mechanical & piping, electrical & instrumentation services. 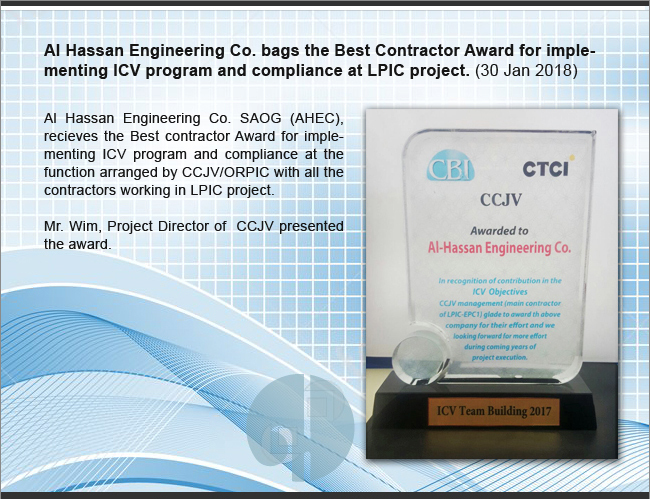 Al Hassan Engineering Co. SAOG (AHEC), recieves the Best contractor Award for implementing ICV program and compliance at the function arranged by CCJV/ORPIC with all the contractors working in LPIC project. 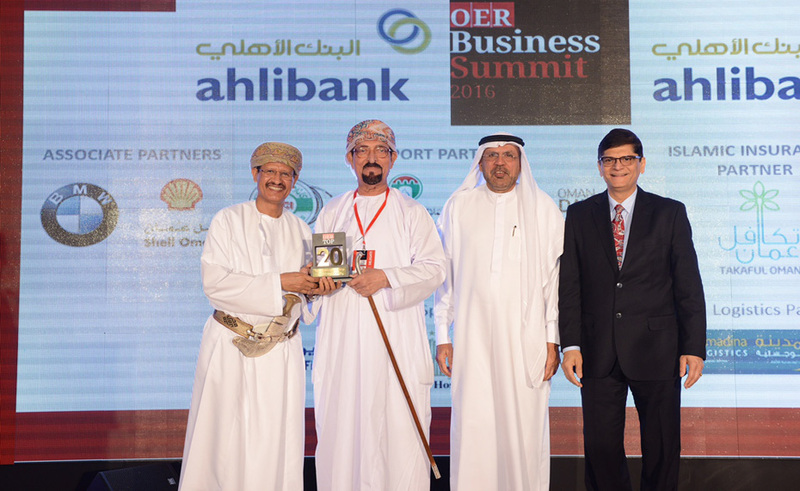 Al Hassan Engineering Co. SAOG (AHEC), Oman’s leading Engineering, Procurement and Construction (EPC) contractor has been recognized for its continued outstanding business performance by the prestigious Oman Economic Review (OER) Top 20 awards - an annual ranking list for Oman’s largest Corporates.